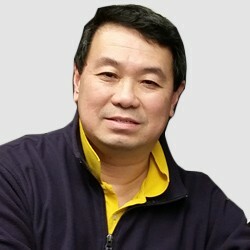 Lester Khoo is a professor of aquatic animal health at Mississippi State University, College of Veterinary Medicine. He is also the director of MSU’s Aquatic Research & Diagnostic Laboratory (ARDL) in Stoneville, MS. His BSc is from the University of Guelph and he earned his VMD from the University of Pennsylvania. He started working for Mississippi State University upon completion his PhD and anatomic pathology residency training at North Carolina State University in 1996. In 2001, he left MSU for the University of Pennsylvania where he was responsible for providing diagnostic services for fish producers as part of the Pennsylvania Animal Diagnostic Laboratory System and was also the director of the AQUAVET program. Although he has left the University of Pennsylvania, his association with the AQUAVET program has continued as a faculty member and emeritus director. During his time at the University of Pennsylvania he was appointed as the Robert R. Marshak Term Chair Professor of Aquatic Animal Medicine and Pathology. He returned to MSU in 2007 where he currently serves as the director of the ARDL which is an American Association of Veterinary Laboratory Diagnosticians accredited laboratory that mainly services the channel catfish industry. He is a member of the American Fisheries Society, the American Veterinary Medical Association, the American Association of Fish Veterinarians, the AAVLD, the United States Animal Health Association, and the National Aquaculture Association. He has served on AVMA’s Aquatic Veterinary Medicine Committee, and was a past co-chair of the AFS Fish Culture Section’s Working Group on Aquatic Drugs, Chemicals, and Biologics, chair of the AAVLD/USAHA’s Aquaculture Committee, and a former board member of the AAFV. He also currently serves as a member for the USDA’s Warmwater Aquaculture Research Unit’s IACUC. He was appointed to the Governor’s Invasive Species Advisory Council during his time at University of Pennsylvania and is a founding member of the Mississippi Aquatic Invasive Species Council. He has also been an associate editor for the Journal of the World Aquaculture Society. His research interest are infectious and non-infectious diseases of fish and fish pathology.